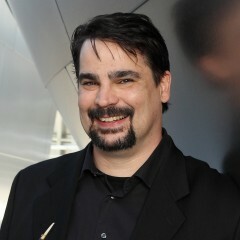 Shawn Mouser was appointed associate principal bassoonist of the Los Angeles Philharmonic by Esa-Pekka Salonen in 2003. Prior to joining the Philharmonic, he served for 10 years as assistant principal bassoonist of the Milwaukee Symphony Orchestra. A native of Louisiana, Mouser received a bachelor of music from Louisiana State University, where he was a student of John Patterson and William Ludwig. He then continued his studies with Richard Svoboda at the New England Conservatory of Music in Boston where he was awarded a master of music and a graduate diploma – both with Distinction in Performance. Mouser can be heard on numerous L.A. Phil recordings as well as in regular live performances with the Los Angeles Philharmonic at Walt Disney Concert Hall. He is also an active performer on the L.A. Phil Chamber Music Series and the Philharmonic’s Green Umbrella new music series.